Since 1988, MEDASSET monitors the situation on these nesting beaches, has published reports, highlighted threats, and made recommendations to conserve these habitats. Our advocacy work in Turkey has especially focused on green turtle habitats, as Turkey hosts the largest nesting population of the species in the Mediterranean. Numerous threats have been identified and have included major tourist developments, disturbance, pollution, sand extraction and erosion. Through our campaigns, there have been several improvements; however human activities along the Turkish coastline still lead to habitat loss and decline of nesting. We invite you to continue reading about our ongoing activities to safeguard Fethiye, Patara, Kazanli, Dalaman and Dalyan. In our publications section you can find our past reports regarding Akyatan, Gőksu Delta, Sugözü, Samandağ and Belek. Turkey is also home to Europe’s only known populations of the Nile soft shelled turtle Trionyx triunguis, and in response to its endangered status and protection needs, we have also implemented several scientific surveys and promoted its conservation. The protection of Dalyan and its sea turtles was one of MEDASSET’s first advocacy campaigns since 1988 and continued till 2002, introducing reports with recommended protection measures and raising awareness internationally on the conservation needs of Dalyan. We continue to support conservation initiatives in Dalyan by collaborating with the Kaptan June Sea Turtle Conservation Foundation and its founder June Haimoff – a sea turtle defender for over 30 years, and DEKAMER – Dalyan’s sea turtle rescue center established in 2009 by Dr. Yakup Kaska of Pamukkale University. Dalyan is located on the southwestern coast of Turkey. Loggerhead turtles nest on its 4.7 km long sandy coast (Iztuzu, Dalyanagzi, Ekincik beaches) which acts as a border between the sea and Dalyan’s freshwater estuary, rivers and brooks that connect with Köyceğiz lake. Since 1986 Dalyan underwent rapid development: a small town in the mid-1980’s with fishery and agriculture being the basis of local economy, it is now a major tourist centre. The construction of a large hotel in 1987 – 1988 and of a road in 1998 was aborted after considerable lobbying pressure. Intensive tourist activity on the beach up to 1996 threatened the sustainability of the beach when few management measures were implemented, despite the fact that Dalyan was declared a Specially Protected Area in 1989. Management of the area has improved considerably nowadays and sea turtle monitoring is systematic, making Dalyan a successful example of how tourists and turtles can co-exist in harmony. Some problems continue, especially as regards boat traffic and turtle watching tours. Located at the south-western corner of Turkey, just south of Dalaman and north of Patara, the Fethiye area is one of Turkey’s key loggerhead nesting sites. There are three beaches in Fethiye where sea turtles nest: Çalış (2.5 km), Yanıklar (4.5 km) and Akgöl (1 km) which are bordered by small wetlands and canals. Severe damage to the habitat is occurring despite the fact that it is a Specially Protected Area since 1988. This is mainly due to poor coastal management and unregulated tourism. Wetlands have been bulldozed for the construction of beachside hotels, snack bars and cafes. Roads and seawalls have been constructed parallel to the nesting beaches. The area available for sea turtles to successfully nest has been lost as businesses cover the beach with wooden walkways, plants, and beach furniture. Jetties have been installed to allow for motorised water sport activities in the bay, with no enforcement of zoning or speed limits. Business lights glare onto the beaches at night while visitors and vehicles freely roam the beaches until the small hours. The garbage problem is entirely unsolved, there has been sand removal, and fishing occurs directly off all three beaches. 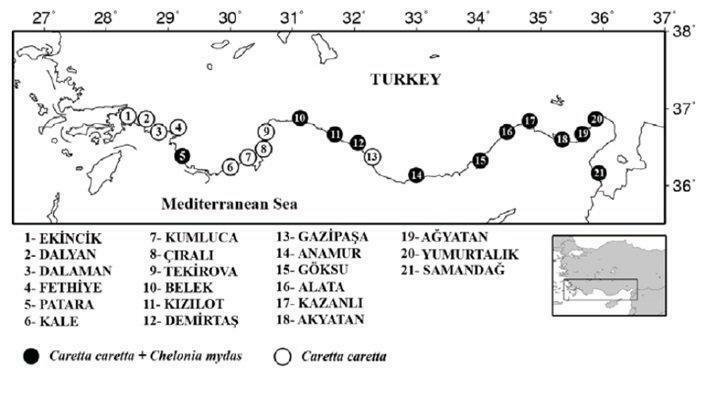 As a result, scientists have reported a decline in sea turtle nesting in Fethiye since 1993, which is completely conservation-dependent, meaning that nesting and especially hatching would not be successful if it weren’t for the biologists, students and volunteers who care for the nests day and night. We have advocated for improved management and protection of Fethiye since 2008, by surveying the beaches each year and reporting our findings to the Bern Convention, the European Commission and Turkish authorities. The problems in Fethiye have been regularly discussed at the Bern Convention since we submitted a formal complaint in 2009. In 2011, we succeeded in engaging the Bern Convention and the IUCN to oppose the construction of a shipyard on one of the nesting beaches in Fethiye. Some improvements were documented as regards beach management in 2011; however, these measures were not sustained and there was further construction on nesting beaches in 2012-2015. In 2015, the Bern Convention directly assessed the site and the expert agreed that “the bad status…is so obvious that the only possible conclusion is that sea turtle conservation was not considered as a priority…”. As a result, the Bern Convention adopted Recommendation No.183, urging the government to urgently implement 17 measures to protect the sea turtle habitats and population in Fethiye. Our advocacy campaign continues, aiming to secure improved protection of this important sea turtle habitat. You can find out more details on this campaign by reading our reports and papers on Fethiye’s sea turtles available at our Publications section. The short film “Turkey’s Sea Turtles in Trouble”, was produced during September 2009 and visits the sea turtle nesting beaches at Fethiye and Dalaman with the aim to draw the viewer’s attention to the lack of protection at these sea turtle habitats. Kazanli beach lies 10 km to the east of Mersin, at the western end of the Çukurova Delta. The 4.5 km coast at Kazanli is one of the most important green turtle nesting beaches in the Mediterranean and is used by a small nesting population of loggerheads. This beach had been subject to gradual degradation for many years. Beach erosion due to human activities (jetty, sea wall and road construction, river damning, removal of sand dunes for sand and agriculture) has led to loss of the precious space available to turtles for nesting. Further threats to the habitat in Kazanli are pollution from urban sewage and litter, light pollution and the release of toxic waste onto the nesting beach and into the sea from the beachside soda-chrome factory in 2000 and 2001. Intensive fishing offshore also leads to sea turtle mortality. Through lobbying, media exposure, research and international campaigning MEDASSET has contributed to the conservation of Kazanli. During 1999-2007, annual beach surveys were carried out and reports submitted to the Convention on the Conservation of European Wildlife and Natural Habitats (Bern Convention) at the Council of Europe. In 2001, after the soda-chrome factory discharged toxic liquid into the sea, we arranged for the analysis of the seawater and organised an international campaign that lead to the Bern Convention’s reaction. Only then did the responsible authorities undertake serious steps to improve the overall situation: nest monitoring is systematic, some of the structures have been removed from the coast, and the municipality and factory have put some effort into acting on the pollution problems. Although authorities have implemented several of the 14 points of the 2002 Bern Convention Recommendation, there is a number of conservation issues that remain unaddressed and that MEDASSET continues lobbying for, including, the serious loss of beach due to heavy erosion and the factory’s 1.5 million tons of hazardous waste which it has deposited on the beach that needs to be completely removed and neutralised. Find out more about turtles in Kazanli and the threats they face by reading our reports in the Publications section. Patara in Turkey is a major world heritage site, with monuments that date back from the late Byzantine Period, the Roman and Ptolemaic period, and the era of its first settlers, the Cretans. It is also the birthplace of St. Nicholas, whose gift-giving nature became the model for today’s ‘Santa Claus’. It remains our ambition that the site should eventually be listed as a UNESCO World Heritage Site. Patara’s ecological value is unique along the Turkish Mediterranean coast as it hosts a variety of habitats, sand dune systems and small wetlands. Since 1990, the entire site has been declared a Specially Protected Area, under the Barcelona Convention. Patara’s 12 km long sandy beach is an important nesting site mainly for loggerhead turtle, first recorded during a survey conducted in 1988. In 2000, two green turtle nests were also identified. The beach is bordered by huge dunes, the largest and most important on Turkey’s Mediterranean coast. Trionyx triunguis, the Nile soft-shelled turtles, are also found in Patara’s streams and wetlands. Till the mid-’80s, before tourists discovered Patara, there was only a small village (Gelemiş) on the outskirts of the archaeological site, with 200 inhabitants mainly engaged in small-scale agriculture. In 1988, a student of Stirling University (UK) and some residents contacted us with an appeal to support their fight against plans to construct an airport, hotels and other businesses within the archaeological area and on the loggerhead nesting beach. Following arson incidents within the archaeological site off the nesting beach, and in collaboration with relevant international organisations and prominent figures, we brought the issue to the forefront, alerted the international media, and fought for the cancellation of the project, the removal of a hotel already built illegally (an ancient tomb was destroyed in the process) and the introduction of conservation measures. We first raised the issue with the Bern Convention in 1989, and the problems in Patara were discussed during the Convention meeting’s on a regular basis for 13 years. Recommendations were made to the authorities and their implementation was monitored by the Convention during 1996-2001. MEDASSET continues its surveys and reports findings on the conservation status of Patara. In 2011, the construction of 400-750 summer houses about 1.5 km north of the nesting beach was announced, well within the protected area boundaries. In 2012, in collaboration with Turkish archaeologists and architects, we lodged a complaint to the Bern Convention and raised the issue both through Turkish and Greek press (Hurriyet, Cumhuriyet Akdeniz, Naftemporiki, etc.). Construction works and the dramatic increase of visitors will impact on the poorly managed nesting beach and the turtles, significantly alter the natural environment and jeopardise the archaeological monuments. We also highlighted the lack of management and guarding of the protected area. Following our 2013-2014 reports, the Bern Convention visited Patara in 2015 and found that, though the nesting beach is relatively pristine, current human pressures and negative developments affect the beach; however, the greatest threat is the inadequate management of the site, especially in light of the ongoing large-scale summer house development. 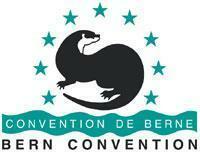 As a result, the Bern Convention adopted Recommendation No. 182, asking the Turkish government to urgently implement 11 measures to protect Patara’s nesting beaches and sea turtle population. Our advocacy campaign continues, aiming to secure improved protection of this important and emblematic sea turtle habitat. You can find more information on this campaign in our Publications section. Support these campaigns and help us continue monitoring the important sea turtle habitats in Turkey. Fluent in Turkish? Help this campaign by becoming a volunteer translator.